Most vegetables should be blanched before drying them. Blanching means to very lightly cook something at high heat for a very short time. Blanching can be done by immersing the food items in boiling water, or, by steaming them. Blanching (heating in steam or water for a specific time, then cooling quickly) is the most common method of pretreating vegetables. Steam blanching is preferred because more water-soluble vitamins and minerals are preserved. In steam blanching, vegetables or fruits are placed in a colander that is suspended above boiling water and heated by the steam. In water blanching, the vegetables of fruits are placed directly in the boiling water. Blanching shortens the drying and rehydration times, sets color, slows enzyme action, and kills many spoilage microorganisms.” Ball Blue Book. Muncie, Indiana: Healthmark LLC / Jarden Home Brands. Edition 37. 2014. Page 162. When water blanching, use 1 pound veg per 4 quarts boiling water (1/2 kg per 4 litres). Double water for leafy greens. Begin timing when water returns to a boil after adding veg. Extend both water or steam blanching times by 1 minute when over 5000 feet (1500 metres). For water blanching, a common recommended ratio of veg to water that you’ll see in many places is 1 pound of prepared veggie per 4 quarts (1 gallon) of boiling water (1/2 kg per 4 litres).When water blanching, use 1 pound veg per 4 quarts boiling water (1/2 kg per 4 litres). Double water for leafy greens. Begin timing when water returns to a boil after adding veg. Extend both water or steam blanching times by 1 minute when over 5000 feet (1500 metres). “Use one gallon water per pound of prepared vegetables.” Andress, Elizabeth L. and Judy A. Harrison. So Easy to Preserve. University of Georgia Cooperative Extension. Bulletin 989. Sixth Edition. 2014. Page 277. At that ratio, the pros advise that the water should stay boiling when the vegetables are added. Use one (1) gallon water per pound of prepared vegetables or two (2) gallons water per pound leafy greens.” Driessen, Suzanne, Ed. Vegetable blanching directions and times for home freezer storage. University of Minnesota Extension. 2015. Here are two slightly differing suggestions of how to go about it. • Fill large kettle half full with water and bring to a boil. 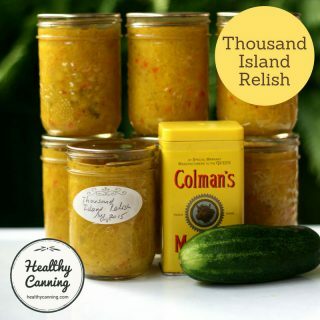 • Put no more than one quart of the vegetable pieces in a cheesecloth or other mesh bag. A 36-inch cloth square gathered at the corners works well. Secure ends. • Drop vegetable bag in boiling water, making sure water covers the vegetables. Shake bag so hot water reaches all pieces. • Start timing as soon as vegetables are in boiling water. Adjust heat to ensure continuous boiling. • Heat for length of time [required]. • Drop bag in very cold water to cool (same time as blanched). • Drain on paper towel or cloth.” P. Kendall, P. DiPersio and J. Sofos. Drying Vegetables. Colorado State University Cooperative Extension. Publication no. 9.308. July 2004. NOTE ABOUT TIMING: Colorado says to start timing as soon as the vegetables are in the water (presuming supposedly that you’ve put a very small amount that won’t interfere with already ongoing boiling). We found it more common in literature on the topic to see explicit directions to start timing only when the water returns to a boil after the produce has been placed in the water. 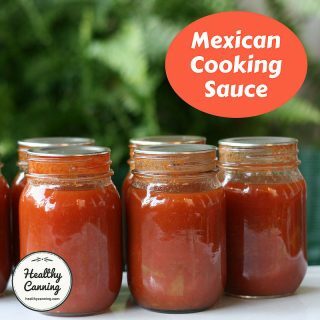 Note also that you don’t need a fresh pot of water for each round of blanching: the blanching water in the pot can be used over and over, though you may need to top it up as needed. The same water can be reused several times for blanching; just be sure to bring it back to a vigorous boil before adding vegetables.” Mason, April C. et al. Freezing vegetables at home. Purdue Extension. CFS-134-W. December 2001. Page 2. 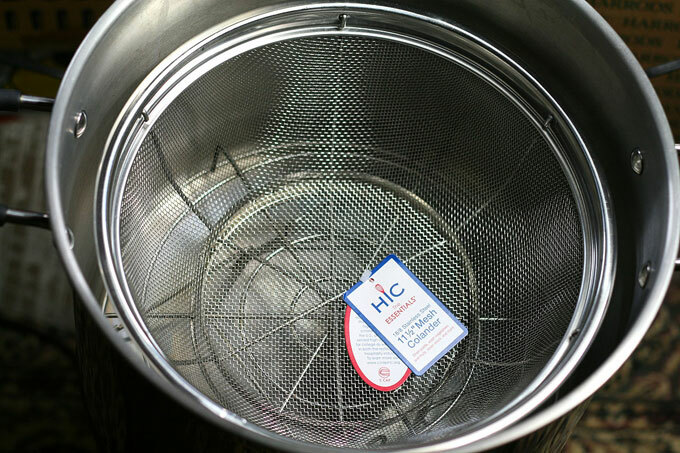 Stainless steel basket for steam blanching in Victorio stainless steel multi-canner. The basket rests on the wire stand platform. Fill pot with water almost up to basket. 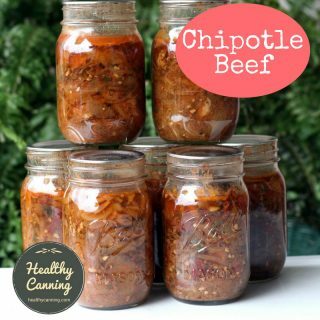 This multi-canner also comes with a glass lid, can be used on glass-top stoves, and can be used for steam canning. Steam Blanching – Use a deep pot with a tight fitting lid and a wire basket, colander or sieve placed so the steam will circulate freely around the vegetables. Add water to the pot and bring to a rolling boil. Place the vegetables loosely in the basket no more than 2 inches (5 cm) deep. Place the basket of vegetables in the pot, making sure the water does not come in contact with the vegetables. Cover and steam according to the directions.” Harrison and Andress. Preserving Food: Drying Fruits and Vegetables. Steam blanching… is preferable to water blanching because few water soluble vitamins and minerals are lost. To steam blanch, you’ll need a steamer with a lower part that holds water and a perforated upper section that allows steam to circulate. The average steamer will hold 2 cups of vegetables. Place the basket in the steamer, cover tightly, and begin timing. The basket should not touch the water, and the heat should be high enough to keep the water boiling rapidly the entire time. The water can be saved and reused for other batches.” Excalibur. Preserve It Naturally. Sacramento, California. 4th edition, 2012. Page 24. Leaf vegetables are usually better boiled than steamed, because they tend to mat in the steam basket, but can roll around if popped into water at a thrashing boil…” Hertzberg, Ruth. Putting Food By: Fifth Edition (p. 16). Penguin Publishing Group. Kindle Edition. To be clear, note that the recommended quantity of veg at one time for steam blanching varies depending on whether the intended purpose is freezing or drying. For freezing, the recommendation is “Put the vegetables in the basket in a single layer so that steam reaches all parts quickly.” Andress et al, So Easy to Preserve, 2014, page 278. For drying, as seen above, the recommendation is a layer up to 2 inches (5 cm) deep. In cooking, and when freezing vegetables, the vegetables are almost always plunged into very cold water to immediately cool them and stop the cooking process. When you are going to be drying food, opinion seems to vary as to what you should do afterward. After blanching, dip the vegetables briefly in cold water. When they feel only slightly hot to the touch, drain the vegetables by pouring them directly onto the drying tray held over the sink. Wipe the excess water from underneath the tray and arrange the vegetables in a single layer. Then place the tray immediately in the dehydrator or oven. The heat left in the vegetables from blanching will cause the drying process to begin more quickly. Watch the vegetables closely at the end of the drying period. They dry much more quickly at the end and could scorch.” Harrison and Andress. Preserving Food: Drying Fruits and Vegetables. After blanching, dip the vegetables briefly in cold water, only long enough to stop the cooking action. Do not cool them to room temperature. When they feel only slightly hot to the touch, they will be cooled to about 120 F [around 50C].” So Easy to Preserve. Sixth Edition. 2014. Page 347. After Blanching. Drain vegetables by pouring them directly on the drying trays. If you plan to reuse the water, place a large pan under the trays. Wipe the bottom of the drying tray with a clean towel to remove excess water. Draining the vegetables on one tray and then transferring them to the drying tray results in unnecessary handling. Immediately transfer the blanched vegetables into the dehydrator so drying can begin while the vegetables are still warm.” Swanson, Marilyn A. et al. Drying Fruits and Vegetables. Pacific Northwest Extension. PNW 397. Third edition, 2009. Page 10. A University of Illinois Extension slideshow on the topic says. Wipe vegetables and place in dehydrator. 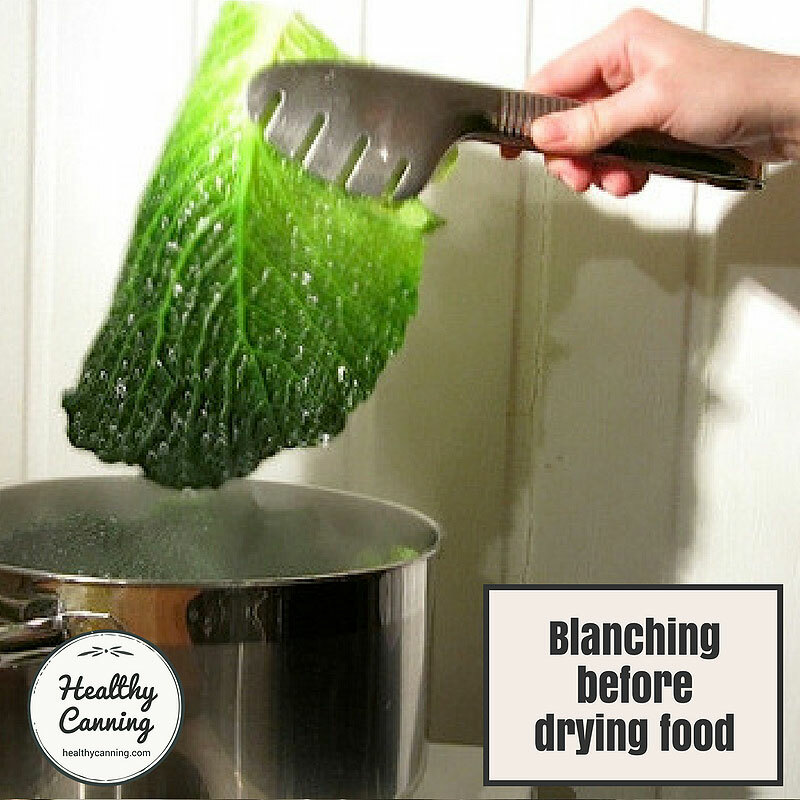 Blanching helps slow or stop the enzyme activity that can cause undesirable changes in flavor and texture during storage. Blanching also relaxes tissues so pieces dry faster, helps protect the products vitamins and color and reduces the time needed to refresh vegetables before cooking.” P. Kendall. Drying Vegetables. Blanching is a necessary step in preparing vegetables for drying. By definition, blanching is the process of heating vegetables to a temperature high enough to destroy enzymes present in tissue. Blanching stops the enzyme action which could cause loss of color and flavor during drying and storage. It also shortens the drying and rehydration time by relaxing the tissue walls so moisture can escape and later re-enter more rapidly.” Harrison, Judy A. and Elizabeth L. Andress. Preserving Food: Drying Fruits and Vegetables. University of Georgia Cooperative Extension Service. FDNS-E-43-10. July 2000. Blanching can be done by immersing the food items in boiling water, or, by steaming them. There are pros and cons to each method; neither is right or wrong, and at present, different authorities hold differing views. Water blanching is recommended over steam blanching … because water blanching achieves a more even heat penetration…” P. Kendall. Drying Vegetables. Water blanching achieves a more even heat penetration than steam blanching….” Garden-Robinson, Julie. Drying Vegetables. North Dakota State University Extension Service. FN1588. 2012. Vegetables can be water blanched or steam blanched. Water blanching usually results in a greater loss of nutrients, but it takes less time than steam blanching.” Harrison and Andress. Preserving Food: Drying Fruits and Vegetables. Steam blanching: heating in steam is the recommended method for grated summer squash and sprouts. For broccoli, pumpkin, sweet potatoes and winter squash, both steaming and boiling are acceptable methods.” Mills-Gray, Susan. Quality for Keeps: Freezing Vegetables. University of Missouri Extension. GH1503. May 2015. Leaf vegetables are usually better boiled than steamed, because they tend to mat in the steam basket, but can roll around if popped into water at a thrashing boil and quickly fished out with a skimmer.” Hertzberg, Ruth. Putting Food By: Fifth Edition (p. 16). Penguin Publishing Group. Kindle Edition. Many nasties can often survive both the mild heat of drying, and the low-water activity environment that drying results in. In 1993, an outbreak of salmonellosis was traced to contaminated paprika and paprika-powdered potato chips. The infective dose was estimated at 4–45 cells, proving that even extremely low numbers of salmonellae adapted to the dry state may be able to cause illness (Lehmacher et al., 1995).” Inﬂuence of modiﬁed blanching treatments on inactivation of Salmonella during drying and storage of carrot slices. Patricia A. DiPersio, Patricia A. Kendall, Yohan Yoon, John N. Sofos. Food Microbiology 24 (2007) 500–507. …research studies have shown that pretreating vegetables by blanching in water … enhances the destruction of potentially harmful bacteria during drying, including Escherichia coli O157:H7, Salmonella species and Listeria monocytogenes.” P. Kendall. Drying Vegetables. A Colorado State University study (results published in 2005 / 2006), using carrot slices inoculated with salmonella bacteria, found that blanching, by water or steam, helps lower the survival rate of the bacteria after drying. But, water-blanching the carrot slices in water acidulated with citric acid (at current Cooperative Extension Services recommended ratios to reduce darkening) caused an even lower bacterial survival rate. The report concluded that further studies would be needed to develop acidulation guidelines including ratios, and to determine impact on quality / desirability from a consumer point of view. Citric acid added to the blanching water…. will help destroy harmful bacteria but will result in a somewhat olive-green color in dried green vegetables. A citric acid blanch used with potato slices produces a superior product compared with a plain water blanch. 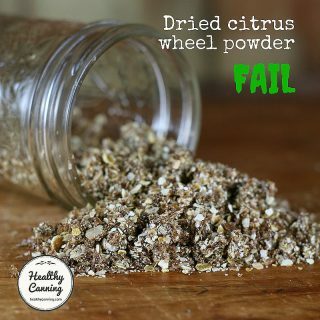 If you plan to cook your dried vegetables before eating them, for example by adding them to soups or stews, then a citric acid treatment is not necessary.” Swanson, Marilyn A. et al. Drying Fruits and Vegetables. 2009. Page 10. We did some searching, to see if someone had come up with a recommended ratio of citric acid to water for blanching vegetables. Citric acid added to the blanching water (1/4 teaspoon per quart of water) will help destroy harmful bacteria…” Swanson, Marilyn A. et al. Drying Fruits and Vegetables. 2009. Page 10. The National Center for Home Food Preservation doesn’t yet seem to have a published position on this (as of 2017). Citric acid does not prevent browning as well as ascorbic acid, but it’s more effective at destroying harmful bacteria. For enhanced pathogen destruction, prepare a citric acid solution by stirring 1 teaspoon citric acid crystals into 1 quart of cold water.” Swanson, Marilyn A. et al. Drying Fruits and Vegetables. 2009. Page 8. 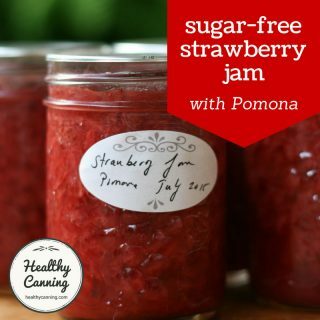 If you are going to dry fruit or vegetables that were previously canned or frozen, they don’t need blanching: it will already have been done to them as part of their initial preservation process. Using canned fruits is a quick way to prepare fruit for drying. Drain the syrup, rinse the fruit, and cut it into 1/2 inch slices, if desired, then dry as usual. Drying times will be longer than for fresh fruit because the canned fruit will contain absorbed syrup. Dried canned fruit resembles candied fruit and can be used in similar ways. Likewise, frozen vegetables can be thawed, drained, and dried. Blanching was taken care of before freezing.” Swanson, Marilyn A. et al. Drying Fruits and Vegetables. 2009. Page 11. Blanching times must be adjusted for altitude. The exact adjustments suggested have varied a bit since the 1990s; the most recent recommendations we have found are from 2013. They come from Colorado, which is considered an expert in high elevation cooking and food preserving. Add 1 minute to water or steam blanching times when you are over 5000 feet (1500 metres). The authors of Putting Food By say they have consulted with the people at Colorado, and that the extra 1 minute applies to both water and steam: “As in the altitude note added to the boiling-water blanch, add 1 minute to steaming time…” Hertzberg, Ruth. Putting Food By: Fifth Edition (p. 235). Penguin Publishing Group. Kindle Edition. Note: Healthy Canning is aware that older advice from other Extension Services recommended more incremental adjustments starting at lower altitudes For example, 1994 advice from Oregon State was above 1000 feet (300 metres, for each increment of additional 1000 feet (300 metres) to add 30 seconds for water blanching, 60 for steam blanching. Driscoll, D. Minar. Preparing Food at High Altitude. EC 1248. 1994. Page 1. , but publications containing that advice are now marked “archived”, and the other Extensions seem to be quoting Colorado’s more simpler recommendation. Sadly, though microwave blanching initially promised to save energy and some nutrients, it appears to actually been proving less efficient (or less consistent) at doing a good enough job, so reputable sources currently (2017) seem either wary of it, or, to recommend against it outright. We’ll examine this topic more in depth another time, but one of the reasons might be that every single microwave in the whole world varies in capacity, strength, etc. — they can’t even agree where to put the popcorn button — so it is very hard to create standard guidelines that will work for everyone. 2. ↑ Ball Blue Book. Muncie, Indiana: Healthmark LLC / Jarden Home Brands. Edition 37. 2014. Page 162. 3. ↑ Andress, Elizabeth L. and Judy A. Harrison. So Easy to Preserve. University of Georgia Cooperative Extension. Bulletin 989. Sixth Edition. 2014. Page 277. 4. ↑ Driessen, Suzanne, Ed. Vegetable blanching directions and times for home freezer storage. University of Minnesota Extension. 2015. 5. ↑ P. Kendall, P. DiPersio and J. Sofos. Drying Vegetables. Colorado State University Cooperative Extension. Publication no. 9.308. July 2004. 7. ↑ Mason, April C. et al. Freezing vegetables at home. Purdue Extension. CFS-134-W. December 2001. Page 2. 8, 12, 22. ↑ Harrison and Andress. Preserving Food: Drying Fruits and Vegetables. 9. ↑ Excalibur. Preserve It Naturally. Sacramento, California. 4th edition, 2012. Page 24. 10, 24. ↑ Hertzberg, Ruth. Putting Food By: Fifth Edition (p. 16). Penguin Publishing Group. Kindle Edition. 11. ↑ Andress et al, So Easy to Preserve, 2014, page 278. 13. ↑ So Easy to Preserve. Sixth Edition. 2014. Page 347. 14. ↑ Swanson, Marilyn A. et al. Drying Fruits and Vegetables. Pacific Northwest Extension. PNW 397. Third edition, 2009. Page 10. 17, 20, 26. ↑ P. Kendall. Drying Vegetables. 18. ↑ Harrison, Judy A. and Elizabeth L. Andress. Preserving Food: Drying Fruits and Vegetables. University of Georgia Cooperative Extension Service. FDNS-E-43-10. July 2000. 19. ↑ LaBorde, Luke and Martha Zepp. Drying Fruits and Vegetables (Dehydration). PennState Extension. Code EE0065. 2017. 21. ↑ Garden-Robinson, Julie. Drying Vegetables. North Dakota State University Extension Service. FN1588. 2012. 23. ↑ Mills-Gray, Susan. Quality for Keeps: Freezing Vegetables. University of Missouri Extension. GH1503. May 2015. 25. ↑ Inﬂuence of modiﬁed blanching treatments on inactivation of Salmonella during drying and storage of carrot slices. Patricia A. DiPersio, Patricia A. Kendall, Yohan Yoon, John N. Sofos. Food Microbiology 24 (2007) 500–507. 28, 29. ↑ Swanson, Marilyn A. et al. Drying Fruits and Vegetables. 2009. Page 10. 31. ↑ Swanson, Marilyn A. et al. Drying Fruits and Vegetables. 2009. Page 8. 32. ↑ Swanson, Marilyn A. et al. Drying Fruits and Vegetables. 2009. Page 11. 35. ↑ Hertzberg, Ruth. Putting Food By: Fifth Edition (p. 235). Penguin Publishing Group. Kindle Edition. 36. ↑ For example, 1994 advice from Oregon State was above 1000 feet (300 metres, for each increment of additional 1000 feet (300 metres) to add 30 seconds for water blanching, 60 for steam blanching. Driscoll, D. Minar. Preparing Food at High Altitude. EC 1248. 1994. Page 1.